P3 P4 stay in positions 2 players workingtogether. 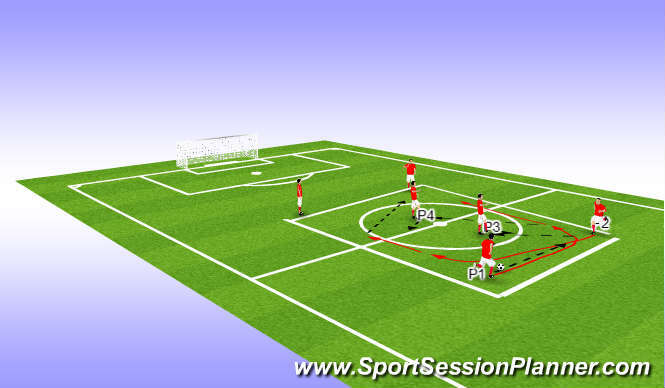 P1 pass to P2, P2 pass into P3, P3 set ball to either P1/P2,P1/P2 pass to P4, P4 set to P1/P2 who passes a diaganal ball to the next two players. P4 become 1st reciving player for next two players. Same movement but hit the 2nd centre player 1st. Pass set movement. Timing of run, type of pass. Passing reciving, movement type of pass. Understanding the movement and option to give. How to and what pass to make. Balance, short sharpe bending runs. Communication, demand the ball to beset yourdelf. 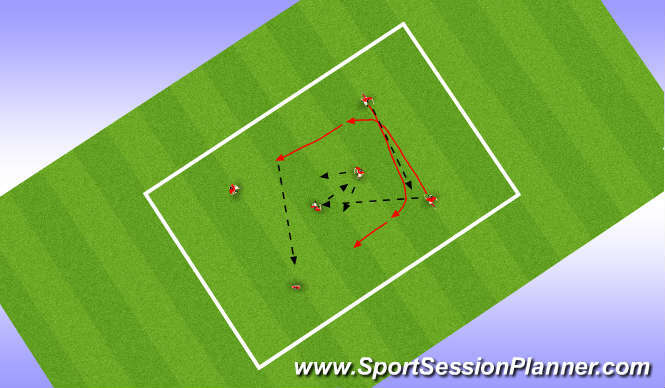 Session started slow as they had to think about movement, some players would hapily jog through with out getting the ball. then made them demnd ball by being th loudest player.